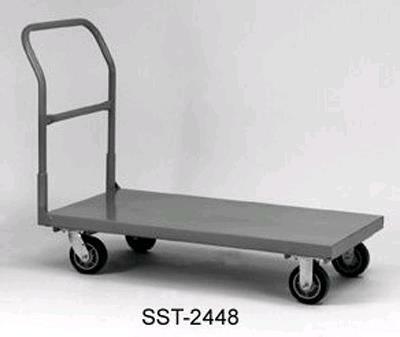 WAREHOUSE CART, 30" X 60"
MAX WEIGHT CAPACITY: 1600 LBS. HEIGHT TO PLATFORM IS 9". DIAMETER OF WHEEL IS 6".